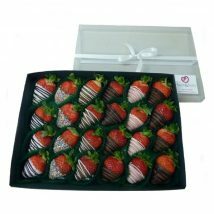 This tempting box will treat any chocolate strawberry lover. 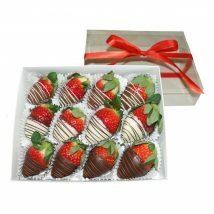 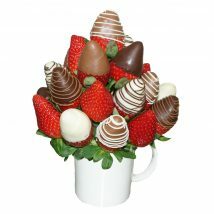 Two dozen sweet strawberries dipped in delicious chocolate with a variety of chocolate tastes. 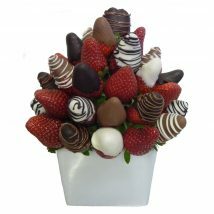 This divine box is a mixture of milk, white & dark chocolate.